Novartis has lifted the curtain on longer-term analysis data for its CAR-T therapy Kymriah (tisagenlecleucel) at the American Society of Hematology (ASH) Annual Meeting 2018, showing that the treatment demonstrated “strong efficacy with durable responses” in children and adolescent patients with relapsed or refractory (r/r) acute lymphoblastic leukaemia (ALL), and in adult patients with r/r diffuse large B-cell lymphoma (DLBCL). The findings of the 24-month ELIANA study showed that, within three months of receiving Kymriah infusion, 82% of the 79 evaluable participants achieved complete response (CR) or CR with incomplete blood count recovery. Among this number, 98% had negative minimal residual disease (MRD-). The overall survival rate stood at 76% after 12 months of treatment and 66% after 24 months. Additionally, the relapse-free survival rate was found to be 62% after 24 months, while the median duration of remission (mDOR) and median overall survival (mOS) were not reached – a signifier, according to the manufacturer, that “responses are deep and sustained”. Furthermore, findings of the JULIET study showed Kymriah to have an overall response rate of 54% after a median 19 months of follow-up in patients who were followed for at least three months. "Before CAR-T cell therapy, achieving and maintaining a prolonged complete response in adult patients with relapsed or refractory DLBCL was incredibly rare, but now we are seeing Kymriah result in durable complete responses more than a year and a half after infusion," said Dr Stephen J Schuster, the Robert and Margarita Louis-Dreyfus Professor in Chronic Lymphocytic Leukemia and Lymphoma Clinical Care and Research in the University of Pennsylvania's (Penn) Perelman School of Medicine, Director of the Lymphoma Program at the Abramson Cancer Center, and lead author of the updated JULIET analysis. "For physicians treating this patient population, duration of response and a consistent safety profile are incredibly important data points, and the findings from this updated analysis further instill confidence in the continuing potential of Kymriah in the treatment of these patients." 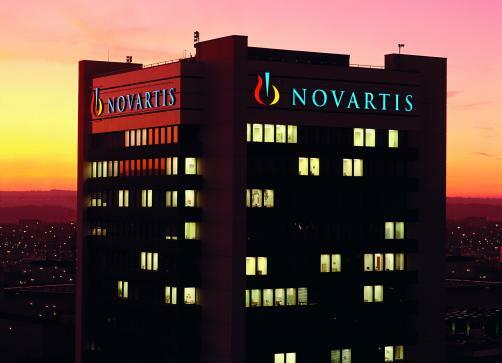 Dr Samit Hirawat, Head of Novartis Oncology Global Drug Development, also remarked: "After bringing the first CAR-T cell therapy to patients, Novartis is committed to continue our pioneering efforts to reimagine the treatment paradigm for patients with aggressive blood cancer. These analyses underscore the longer-term durability of response with Kymriah and its consistent safety profile, reinforcing our belief in the potential for CAR-T cell therapy to extend the lives of patients with these advanced B-cell malignancies."